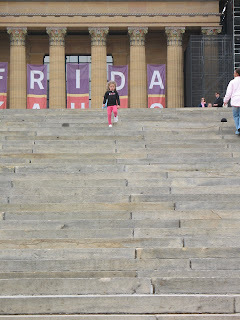 Jaeden and I ran up the "Rocky Steps" and then back down and Jaeden went right back up for a second time. It was very fun! 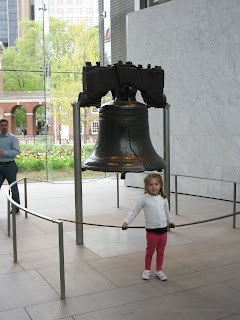 Dan and I had a lot of fun learning about Philadelphia and all the history. We took a hop-on-hop-off tour bus and got to see so many neat things. For lunch we had a Phily Cheese Steak and it was delicious. The girls did so great considering how much walking and site seeing we did. I loved this city and was so glad we got to come. Looks like a great trip! 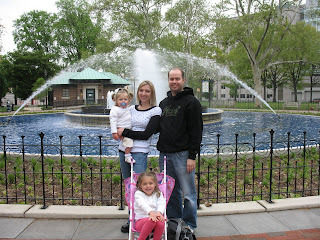 You are beautiful and have such a beautiful family!!! How fun I would love to do that! I love the picture of Jaeden sleeping!! Ha ha. 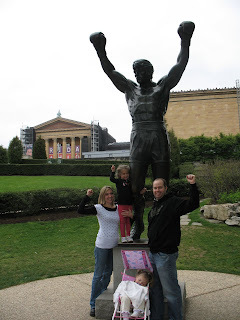 Go Balboa family!! You guys are so cute!! I am so jealous! Someday we all need to go there together! You all look so cute!